Nothing says smart tailoring more than a signature suit. 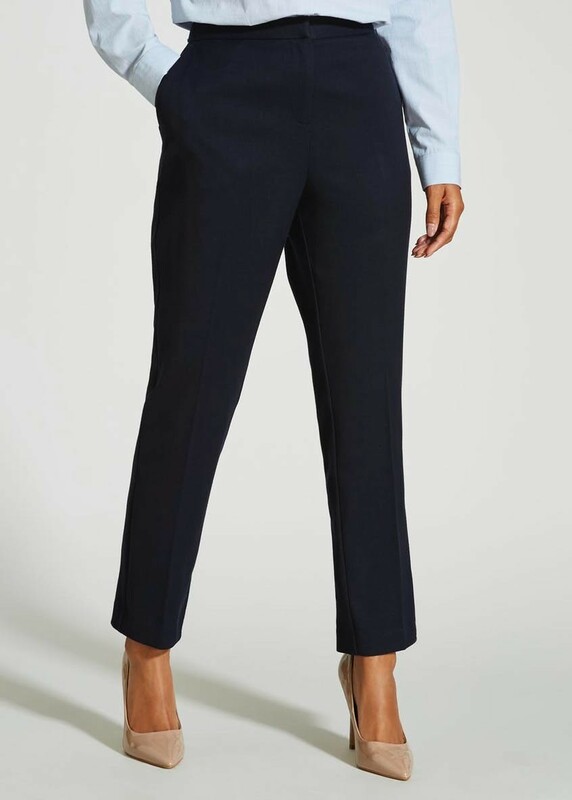 Cut in a slim fit, these navy suit trousers are constructed in premium textured fabric, which ensures a soft hand feel. Additional style notes include two functional pockets and a zip fly fastening. Perfect for the office, boardroom and business meetings, these timeless work wardrobe staples provide endless outfit pairing possibilities. Matching items are available to complete the look. Leg Length: 31 Inch. 67% Polyester 32% Viscose 1% Elastane. Exclusive Of Trimmings.